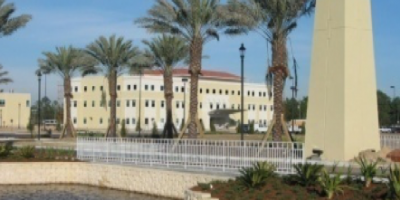 In 2002-2003, Sacred Heart of Pensacola, Florida, embarked on the mission to create a new 40-bed hospital in the growing yet underserved area of Destin, Florida. The challenges of the new area were the limited number of physicians practicing full-time in the area. In order to provide Sacred Heart additional tools to recruit physicians to the new hospital, Johnson Development developed a Medical Office Building as a Physician Tenant Owner building using an LLC format where the physicians had the opportunity to own the majority of the building. In this situation the ownership model created an additional draw to the building which resulted in 80% of the building being pre-leased and the remaining being leased within 12 months after completion. Thanks in part to the strong physician ties to the campus created by the Physician Tenant Owned MOB, the Hospital has already doubled the number of beds and a second MOB is on the horizon. Johnson Development was responsible for all activities as part owner and developer including organization of physician partners, financing, leasing, oversight of design and construction of the MOB as well as the immediate site work around the MOB. Johnson Development continues to provide property management services, which include a Hurricane Preparedness Plan for the building and its occupants.